Quality E Cigs Guide. Best Electronic Cigarette UK. Best E-Cigarette reviews UK Best Vaporizer: Vaporizer Reviews Compared. A 2018 Vape Guide. 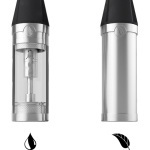 There is a two tier structure in the Vape Pen or Vaporizer category – the finest vaporizer falls into tier one, the second tier being cheap and poorly made vaporizers. The majority of vape pens however are in the first tier and its hard to distinguish which is better. When it comes to build quality, once again vaporizers and vape pens are generally reasonable quality and there’s not much to differentiate between them. All have quality components; battery, cartomiser, e-liquid etc. It is the V2 Pro Series 3 that because of its technology, size, usability, pricing and vapour production is ahead of all the competition. It’s true that there are bigger Vaporizers out there, for instance the Pax Vaporizer (if you fancy spending around £200+). In addition V2 will be bringing out upgraded versions of the V2 Pro 3 and Pro 7 later this year. Until then the V2 Pro Series 3 is the best vaporizer pen of choice and for those wanting a larger scale device the Pro Series 7 is unbeatable. For 2018 V2 offer an upgraded Pro 3, the new Pro 3X vape pen which offers sub ohm vaping, variable resistance coils with advanced ceramic heating. An unbeatable small scale vape pen. This is now the one to buy! This vaporizer really does blow the competition out of the water. It is an outstanding vaporizer. We have tested countless E-Cigs, Mods, vape pens everything. Within 10 seconds of using this my new favourite e-cig ever was discovered. My vape pen of choice. Many review sites including Gizmodo and T3.com (“Apple Mac of vaporisers”) have featured the V2 pro as one of the best vape pen UK brands available but I wasn’t really expecting it to live up to the hype, it sounds too good to be true. What sets the V2 Pro 3X apart? 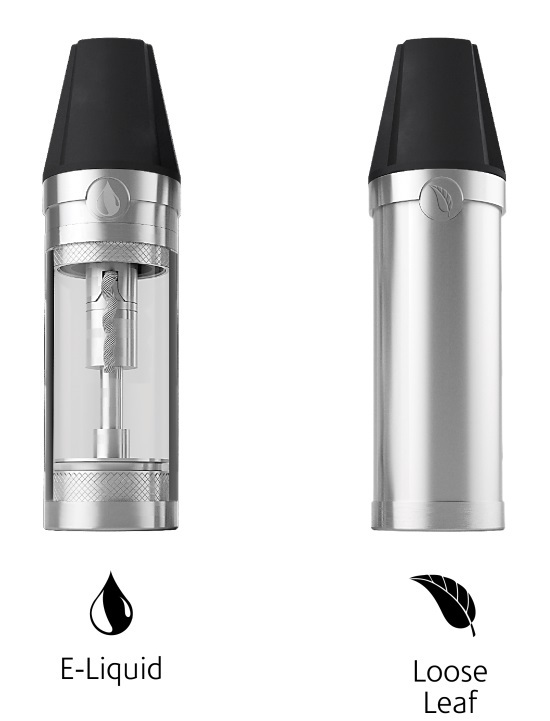 The V2 Pro vape pen comes with 3 cartridges, they are all magnetic attachments. With the V2 Pro Series 3 cartridges you simply drop in your attachment and it snaps firmly into place. This goes for the charger too. The charger is also a snap in magnetic mechanic. You can even vape while charging the unit. The three attachments consist of a standard E- Liquid vaping unit, a Loose leaf attachment, and the Essential oil attachment. All of the finest build quality. The essential oil and wax cartomizer was introduced late in 2015. The loose leaf dry herb cartomizer will actually vaporize whatever it is you want to “smoke” and automatically optimises the temperature. Firstly and most importantly the vaping quality of the V2 pro is unparalleled in anything I’ve ever tried. My preference so far was a V2 Ex-Series so its fair to say I am a fan of V2, but this is such an improvement its unreal. They are literally redefining vaping. Generally on an Ego there is a voltage setting to set the strength, on this product it automatically detects if an E-Liquid, Essential Oil, or Loose leaf Tobacco cartridge is in the E-Cig. The Pro then sets the voltage to the optimum……..automatically. The smoke production is amazing, the taste is perfect, the throat hit is big and it really does feel like your smoking a superior vaping product. The vaporizer chamber works by heating the chamber up to a searing 180 Degrees in less than 30 seconds, which seems incredible. I have tried quite a few others, most take the best part of a minute or more, and deliver an inferior vape. Whilst we may not generally promote vaporizing Loose Leaf – for some making the switch from normal cigs to E-Cigs, vaporizing Loose Leaf on occasion would be ideal. Plus the fact that since you can literally just snap in the cartridge you want, this unit offers a huge advantage. This attachment has now been released and is ready for users now. I can not review this aspect as I do not vape wax! However reading some of the reviews it is exceptional for such a small scale device. The Pro series 7 even more so capable of temperatures over 600 degrees ranking the highest out there for a portable vaporizer – wax needs high temps! However as this is the best E-Cig I have tried more options can not be a bad thing. The V2 Pro really stands head and shoulders above the competition, nothing even comes close. Simply the best vaporizer technology with style. The absolute finesse of how it works, the magnetic system, the long battery life, everything just comes together in a well presented vape product. The V2 Pro really stands out – no doubt the best vaporizer UK that you can buy, if your friends vape and they see yours they will want one. Vapour Envy? You bet. Taking second place as a top vaporizer, we are looking at a quality product that distinguishes itself as a little different. But it is only capable of vaping e-liquids. Welcome to the AIR by South Beach. The key point here is in terms of its size and performance. At four inches it is very neat and compact compared to the competition. It looks slick and smart with a first-rate stainless steel finish and is innovative with a screw on cap to protect the mouthpiece. Also with the AIR’S size, it is very dainty compared to many alternative vaporizers and as such feels sophisticated. Unfortunately this does have the effect of it being easily lost in a handbag – I can confess to having to empty my own on several occasions in search of it. As mentioned earlier in this review most vaporizers and vape pens out there have little difference between them in terms of production and build quality. The AIR certainly finds itself among the very top vaporizers currently available. It is therefore difficult to find any major faults with the AIR although there are some: at 350mAh battery (V2 Pro at 650 mAH) the AIR will last most of the day but then it will need a recharge; the tank is difficult and frustrating to clean; it should really have a second battery option but unfortunately it doesn’t; and for all its qualities if you want to actually use it at all you’ll need VaporFi or SBS’s e-liquids only (according to their website). So if your favourite flavour is from another brand you will need to expand your vape pen horizons.